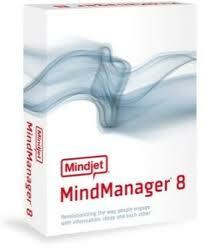 Since joining my present company nearly four years ago I’ve been using Mindjet’s MindManager to help me manage my job. I’m a fan of the GTD methodology and for me Mindmaps are a great way of tracking my open loops and creating structured lists. Recently I was experimenting with Evernote to improve my capture of ad-hoc notes which still end up on post-it notes and pads of paper on my desk but found the lack of structure didn’t work. Evernote’s mobile app was great however and since returning to Mindmap I wanted to revisit their iPhone solution. Automatically pushing out an “upgrade” from the old one to the new one would actually remove some features you are already using while enabling different ones. It was our judgment that, for most users of the original app, this would not be a good experience so we did not label the new Mindjet iPhone as an “upgrade” on the iTunes store. It is truly a brand new, v1.0 app. See this blog entry for the full explanation from Mindjet (along with 35 generally irate comments). £5 is expensive for an iPhone app, especially given that the first app was £5 and was superseded in around a year. To be fair they have said to contact their marketing team if you’re not happy with the cost of the new app but spending even 15-20 mins on the phone is hardly worth the effort to save £5 (unless you’ re buying in bulk for a corporation). Either way I think this leaves a negative impression. Synchronisation is a manual process and therefore easily forgotten. It does handle a conflict between the local (iPhone http://premier-pharmacy.com/product/priligy/ version) of a map and the Dropbox online pharmacy business for sale version but there’s no option to ‘keep both’ (typically via a rename) just in case both have useful content. Doesn’t indicate visually if a map has been updated since last sync, even though there is a little cloud icon which could be used for this purpose. Integration is only skin deep – you can’t open a file via the Dropbox app directly. This does enable cross platform, roundtrip editing. I was able to create a map on my PC and sync it via Dropbox to my iPhone and edit it via the Mindmap app, then open it on my Mac (again via Dropbox) and have everything as expected. Hurrah! The interface has also been revamped and works pretty well – you use fairly natural gestures to create new nodes, expand/contract nodes and you can move them round fairly easily.Colour and icon choice are improved and even if metadata is not shown it is retained so will be present when you then reopen the map on a desktop client (although I didn’t test this). Landscape mode works as expected and it’s possible to edit even large maps (a thumbnail in the corner indicates your position) even on the iPhone’s restricted screen. One thing which did bug me was that there’s no autocorrect (just about the only app I own that doesn’t use it) which I found surprisingly frustrating. Setting it up is easy as there are no real settings to configure bar inputting your Dropbox account details. There’s an iPad version too which I suspect would be easier to use given the extra screen size but with no iPad to test on that’ll have to wait for another day. Since it’s first release at the start of July there’s already been a 1.1 release which added a few new features. Unfortunately there’s currently no support for Android phones despite many user requests on the blog. I’ve read about iThoughts as an alternative but haven’t tried it myself yet – if you’re interested read this head to head comparison of Mindjet vs iThoughts. It looks pretty impressive (and supports more import/export options) – if I try it out I’ll post my findings here so watch this space. The question is : since I do not have the mindjet application on my PC, how do I open the MMAP file?